In 2020, the federal government will undertake the monumental and important task of attempting to count each person residing within our country’s borders. An exercise that has taken place every 10 years, since 1790, and is mandated by the U.S. Constitution, it cannot be overstated how important the Census is to the well-functioning, representative democracy that our country strives to be. The Black community that the NAACP Legal Defense and Educational Fund, Inc. (LDF), where I work, serves, has a lot to lose if they, like other communities of color, are not counted fairly and accurately in the 2020 Census. As LDF’s Count on Change campaign around the last Census highlighted, Census data are primarily used for redistricting at every level of government, affecting representation for Congress, state legislative districts, and local bodies like school boards and city councils. Shortly after the Census count, elected bodies go through the hotly-contested and critically impactful process of redrawing election maps. Consequently, the Census count is the basis for every person in the United States to have representation in government. In addition to redistricting, Census data are fundamental to the distribution of enormous resources and making critical policy decisions. The data are used by elected officials and many others to consider and build infrastructure, inform the tax structure, and administer health care, as well as to direct nearly $700 billion in federal funds for programs such as those that promote fair housing and public education — all issues that bear upon Black people. It is critical then that the Census Bureau’s leadership ensures that Census data are collected accurately, fairly, and non-discriminatorily. For this reason, Census leaders traditionally have had expertise in quantitative sciences and management experience. That was the case with John Thompson, the Bureau’s former director, who was a career statistician, and worked at the Bureau for nearly three decades before rejoining it as Director. Thompson abruptly resigned in June 2017. POLITICO has now reported that President Donald Trump is considering the appointment of Dr. Thomas Brunell as a leading candidate for Census Director. A political science professor at the University of Texas at Dallas, the president reportedly considered nominating Brunell to be the next Census Director this past summer. Brunell’s candidacy apparently did not survive the vetting process, as it shouldn’t have. His lack of managerial experience as required by federal law precluded him from the directorship, and the clear partisan nature of his body of professional work — do not indicate his readiness for the top Census job. However, Brunell is potentially being given a second chance; he reportedly is now being considered for the Deputy Director position even though his stunning lack of qualifications for this position should likewise disqualify him. To say the least, Brunell’s potential appointment should raise eyebrows, particularly because the position does not require Senate confirmation. The rumored pick is yet another example of the Trump administration’s readiness to forego the norms that sustain our democracy: a long-standing precedent that the Bureau’s second in command is led by a nonpolitical, independent, and experienced civil servant and program manager. In addition to his lack of administrative experience, perhaps the most problematic aspect of his potential appointment is Brunell’s deep involvement in partisan issues. Brunell, a registered Republican, has testified as an expert witness many times on behalf of Republican efforts to redraw districts to entrench that party in power, often by manipulating the power of communities of color. In 2008, he wrote a book titled, Redistricting and Representation: Why Competitive Elections Are Bad for America, in which he maintained the widely unpopular and antidemocratic opinion that competitive elections suppress voter turnout. His consideration for appointment to such an important position is more than just a curious choice. It signals this administration’s long-term efforts to skew the electorate — to choose voters rather than to have voters choose them — as well as the distribution of benefits that flow from it. Worse, the potential personnel move also indicates the Trump administration’s disturbing attempt to politicize the 2020 Census count and raises major concerns about the administration’s ongoing efforts to encourage voter suppression. Throughout his campaign and since his confirmation, Trump has perpetuated the myth of widespread voter fraud, targeted people of color in this hysteria, and has assembled a sham election commission as a tool to intimidate voters — especially voters of color. LDF has filed one of nine federal lawsuits to challenge this sham. To be sure, the Deputy Census Director is charged with operational duties that are central for a fair and accurate Census count. The deputy director’s responsibilities are serious: the person is widely considered the Bureau’s chief operating officer and financial officer, and in this position, Brunell has control of where and how the Bureau’s $400 million advertising budget around the Census is spent. Those advertising dollars are traditionally used to encourage hard-to-count communities, like Black communities and immigrants, to respond to the Census questionnaire. That public education is all the more critical given the natural disasters and man-made havoc wreaked by home foreclosures, racism and xenophobia that potentially chills participation in the Census count. Indeed, Trump’s potential pick also indicates that the White House could use Brunell to facilitate a measure to require that the 2020 Census question individuals about their citizenship and legal status. Such an effort dissuades people of color from participating in the Census, and is also opaquely designed to intimidate and prevent communities of color from engaging in the political process over the long-term. By law, the Census cannot be used as a tool for immigration enforcement or to police Black and other communities of color. And it’s certainly not intended as a tool to put into effect a discriminatory and political agenda. 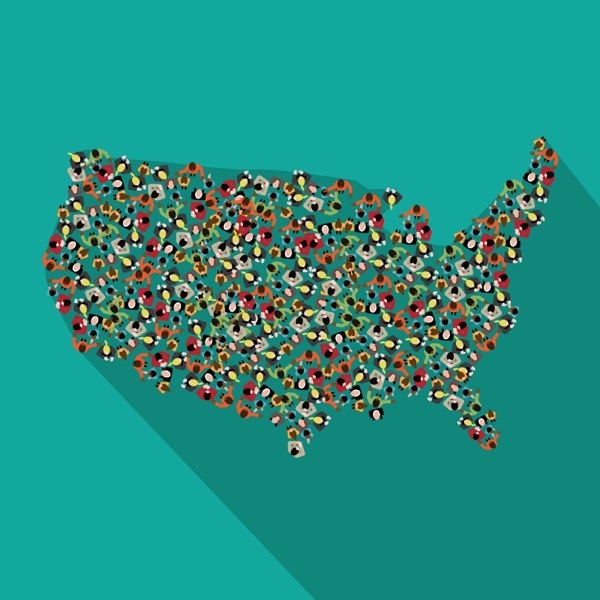 While the political ramifications of the next Census count are clear, it is ultimately a counting exercise — a purpose that is as nonpartisan and apolitical as a government effort can be. The only agenda that it should have is to be fair and accurate. A Brunell appointment would undermine the Census’s only rightful objective.